Sharm el Sheikh, March 2015. 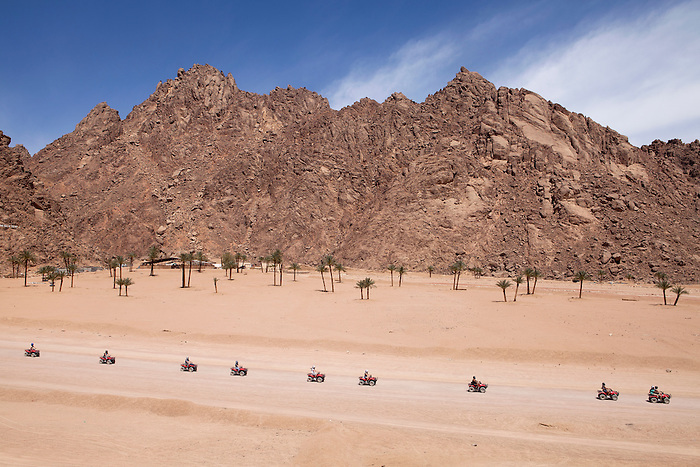 A group on quad bikes on an expedition in the desert. Such trips are included in the “all inclusive” package, sold by tour operators. The trip usually includes a camel ride and a "Bedouin dinner" with a belly dancer show.